CAPE CANAVERAL, Fla. — SpaceX is set to send its next supply mission to the International Space Station (ISS) as early as Aug. 13, 2017. That mission, CRS-12, will mark the end of an era as it will be the last new first-generation Dragon spacecraft to fly. The CRS-12 mission will bring supplies and science experiments to the Expedition 52 crew currently on board the ISS before bringing cargo and science back to Earth in September. Dragon spacecraft have visited the orbiting outpost 11 times since 2012, carrying well over 40,000 pounds (18,000 kilograms) of cargo and crew supplies to date to the orbiting lab. The only blemish on the capsule’s record occurred during the CRS-7 flight, which launched on June 28, 2015. After a successful liftoff, and an almost complete Falcon 9 first stage burn, a strut attached to a high-pressure helium bottle in the second stage failed. That failure led to the second stage oxygen tank to over-pressurize, causing it to burst and the entire booster to fail (explode). The Dragon capsule survived the breakup but was destroyed when it impacted with the Atlantic Ocean several minutes later. The payload on this mission has been estimated at costing some $118 million. All subsequent SpaceX resupply missions since CRS-7 have been completed successfully. For the CRS-11 mission, SpaceX utilized a thoroughly inspected and refurbished pressure vessel that had previously flown on the CRS-4 mission in 2014. CRS-11 marked the second time that particular vehicle had made a successful delivery of cargo to the ISS and then carried experiments back to Earth. This was the first flight of a previously flown spacecraft since the Space Shuttle’s last mission, STS-135, in July of 2011. The NewSpace company currently plans to only use previously flown first-generation Dragon spacecraft for future cargo missions to the Space Station. Since SpaceX will no longer be manufacturing complete Dragon 1 spacecraft, resources will be freed up to allow the company to focus more of its efforts on completing the development of the Dragon 2 spacecraft, which will provide crew transportation services to the ISS and for possible other missions. The long-delayed first flight of the Dragon 2 spacecraft is currently expected to occur sometime in the first half of 2018. The new spacecraft is described as being capable of carrying up to seven people into Earth orbit. For NASA missions taking a crew to and from the ISS, it will likely only carry four astronauts. The remaining area inside of the spacecraft will be used for pressurized cargo. While SpaceX is developing Dragon 2 for a crew, it is expected to have a cargo-only version for resupply missions to the space station. 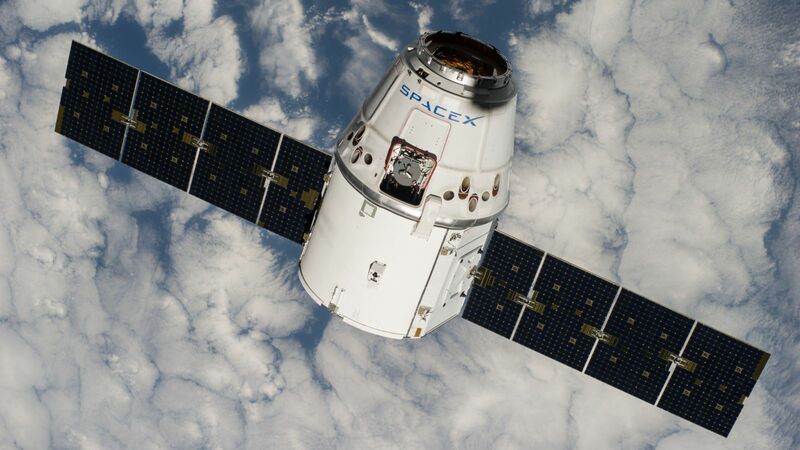 It is unclear when the Hawthorne, California-based company will make the transition from Dragon 1 to Dragon 2 cargo missions. The company is currently under a contract to send some 20 missions to the outpost, which should be completed with CRS-20 no earlier than 2019. A follow-up contract calls for at least six more cargo delivery missions. It appears that SpaceX is clearly leading the pack of companies operating in the CRS program; re-use is simply making the best of the situation. Other than the earlier ill-fated mission, the NewSpace company seems to be maintaining a realistic schedule of deliveries to ISS. As always, a thorough and fact-filled report. You guys are the best Space News site available. Just the best. Your hard work is much appreciated. THANKS. I want to see Musk land his dragon spaceship using rockets. Re: The only blemish on the capsule’s record occurred during the CRS-7 flight, which launched on June 28, 2015. After a successful liftoff, and an almost complete Falcon 9 first stage burn, a strut attached to a high-pressure hydrogen bottle in the second stage failed. I thought that it was a helium bottle that came loose.